The Iranian regime is used to saber rattling. This comes naturally to a regime that has sat at the negotiation table for more than three decades signing deals with other countries while failing to keep its promises; broken promises that have gone unpunished. In the past decades, the regime has followed such a logic and unfortunately, the West, especially Europe, has ignored Iran’s games. Whether this was intentional, biased or because Europe just did not understand the game, is unknown. Now in the current status quo, Iran’s saber-rattling is a front for its bewilderment in terms of which policy to follow to prolong its life. President’s remarks in his recent trip to Europe stating, ‘If Iran’s oil export is blocked, no other country in region will export oil either,' is a crucial remark expressing Islamic Republic's approach. “The President’s remarks in his recent trip to Europe stating, ‘If Iran’s oil export is blocked, no other country in the region will export oil either,’ is a crucial remark expressing Islamic Republic’s approach. 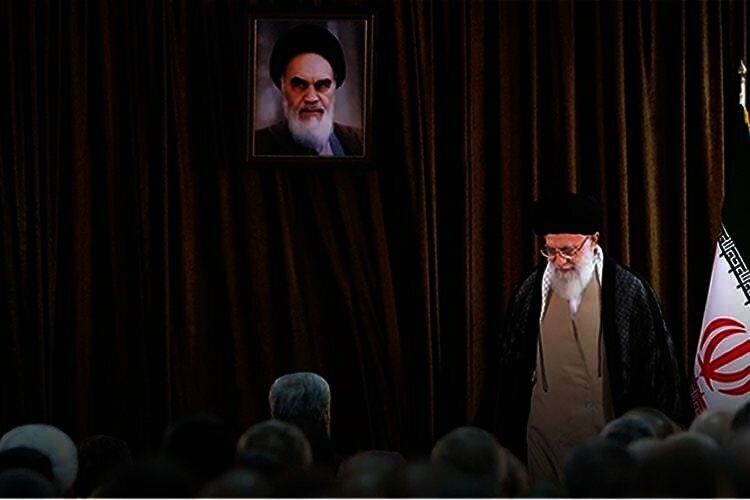 Foreign Ministry must sternly follow up on such stances by President”, Khamenei, Iran’s so-called Supreme Leader tweeted today. Iran has less than four months before the US’s “historical” sanctions come into play. It seems that Iran’s Foreign Minister, Javad Zarif, is at a loss in regards to the path forward for the regime. On July 20, in an interview with Euronews’ Global Conversation, carried by Tasnim state-run News Agency, Zarif pleaded with Europe to do everything in its power to save the JCPOA and prevent the continuous exit of European companies from Iran. Today Iran filed a complaint @CIJ_ICJ to hold US accountable for its unlawful re-imposition of unilateral sanctions. Iran is committed to the rule of law in the face of US contempt for diplomacy & legal obligations. It's imperative to counter its habit of violating int'l law. Meanwhile, Iranian news sources show an evident concern for the post-sanction era in Iran. “Donald Trump’s plan is to weaken Iran to the extent of economic pressure leading to waves of protests. Unfortunately, no one in the world can counter the economic strength of the dollar”, Arman state-run Daily wrote on July 19. There have also been various reports of a shuffle in Iran’s President Hassan Rouhani’s cabinet. Rouhani’s chief of staff Mahmoud Vaezi has also spoken of “new conditions” the regime is facing “following U.S.’ pullout of the Iran nuclear deal. “We need cabinet members to handle our affairs while taking the current circumstances into consideration,” he added in recent remarks. Iran has to options going forward since it does not have the power to play with various options. Negotiating and accepting conditions that will have very heavy repercussions or be trying in vain to counter sanctions. Of course, Iran cannot ignore the growing waves of protests inside the country. This is what it rightly fears most of all and it will be the power of the people that will eventually bring the whole establishment to its demise.